Sri Swami Satchidananda's spiritual master. Sri Swami Sivananda was one of the most influential teachers of yoga in the 20th century. He counted among his students Sri Swami Satchidananda, as well as Sri Swami Chidananda, Sri Swami Jyotirmayananda, and Sri Swami Vishnu-devananda, who is responsible for the development of Sivananda Yoga (see Chapter 5). Sri Swami Satchidananda traveled and taught extensively throughout Southeast Asia and Europe, and there are now yoga teachers and centers devoted to him throughout the world. He was invited to visit the West by an American devotee in 1966. A planned two-day visit turned into a five-month teaching tour. He quickly gained prominence as a teacher of yoga. Many Baby Boomers may remember him as the spiritual mentor of the 1969 Woodstock music festival. 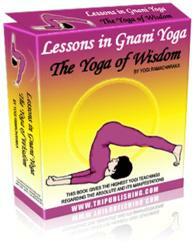 His 1970 guide to the practice of hatha yoga, Integral Yoga Hatha, introduced countless Westerners to yoga. It continues to remain a classic among texts on hatha yoga. Sri Swami Satchidananda founded the Integral Yoga Institute as the vehicle to teach his particular approach to yoga. Satchidananda Ashram-Yogaville, located in Buckingham, Virginia, is the international headquarters of Integral Yoga, and there are Integral Yoga branches and centers throughout the world. Integral Yoga remains one of the premier yoga organizations in the world today. It is one of the leading centers for the training of yoga teachers with more than 15 teacher training programs conducted at Yogaville each year. In addition, the New York, New Jersey, and San Francisco centers also conduct training. Teacher training programs in Gibraltar and Portugal conduct training for European teachers.